Max Verstappen creates history. By clinching the Spanish GP title, he became the youngest driver ever to win a Grand Prix race. The 18-year-old Red Bull driver broke Sebastian Vettel’s record of being the youngest ever. Vettel, was with Torro Rosso back then. However, there is more to this Dutchman than just his good looks and prowess behind the wheel. Here are 10 things you ought to know about Formula One’s new kid on the block. 1. 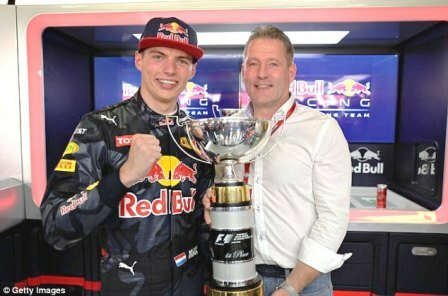 He is the son of former F1 driver Jos Verstappen.